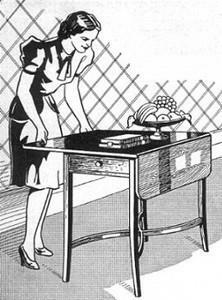 There is nothing like adding an antique look to a guest room or sewing room. 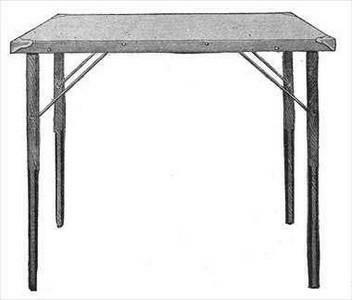 Build this Pembroke drop leaf table that will enhance any room. The gateleg table is a wonderful piece of furniture that is a welcome addition to living room, den or study. This one folds down to just 5" x 24". 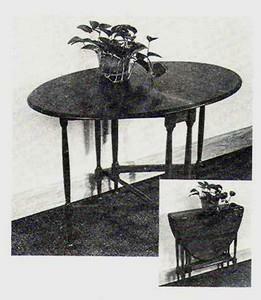 This drop leaf table is about one foot deep when it is positioned against a wall. Very nice set of plans and even includes photos for some of the work. 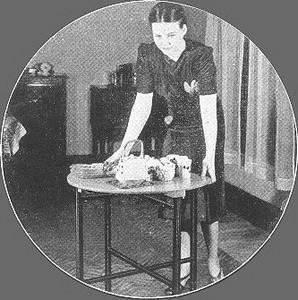 This small rollaway folding table is great whenever a small utility table is needed. Just roll this one in. 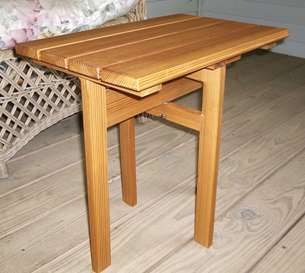 If you want to sit out on the porch and watch the sunset with an ice tea, this small folding table is just the ticket. 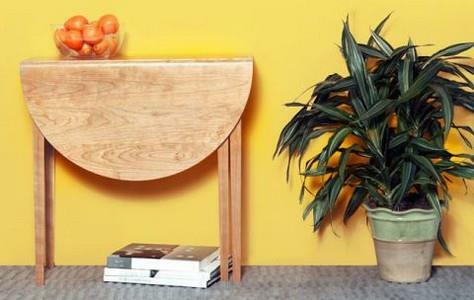 For economy and saving space saving there is nothing like a folding three-legged table. This is a very simple diagram for building one, and no materials list or instructions.